There are lots of different reasons for parts of your lawn to go bald – and very few of them are down to poor lawn care. One of the most common reasons is wear and tear, closely followed by shade, pet urine and occasionally pests and diseases. Repairs are usually easy and rarely is there any need to replace the whole lawn. Frequent traffic on your turf usually results in compacted soil beneath your lawn becoming compacted which causes problems for turf health and growth. A long term fix to this issue could be to lie stepping stones down in high-wear areas as well as rotating the heavy used areas, for example moving goal posts and garden furniture around. 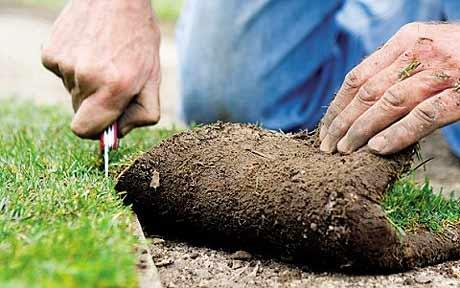 Start by aerating the area to create air holes in your garden turf. This process is vital to bringing your lawn back to health and improves drainage and reduces puddle formation. Once the aeration is completed scarify your lawn by raking out all dead bits of grass, roots, leaves and moss etc. to loosen up the top layer of soil. Once the area is level, sprinkle on some grass seed and water it well until your new grass is good and robust. The first thing you should consider is whether you can rectify the cause of the problem. Thinning out any trees and shrubs will expose your turf to more sunlight. Firstly you should rake out any debris and loosen the soil just as you would if the problems were caused by general wear and tear. The area should then be seeded using a shade tolerant grass seed. Don’t cut it too short, about 5cm is the minimum length you should be aiming for. Here at Ivinghoe Turf we are turfing experts and have been growing and supply our very own grades of high quality lawn turf for more than three decades. Whether you are looking for a family lawn or turf able to withstand high footfall, we have the solution for you. In addition we also offer a selection of grass seeds to repair damaged areas of your grass. The condition of your lawn through the early Spring period is often an indication of how it was cared for the previous year, particularly in the autumn period. Now that we have arrived in May we can now begin to improve its appearance and overall health. Although this is an extremely simple practice, it is often overlooked. Blunt blades will tear turf rather than giving it a sharp cut which can result in increased water loss making your lawn turf more susceptible to disease and can give your grass a dull appearance. It is recommended that your mower blades are sharpened at least twice a year to ensure that your lawn is being mowed effectively. Set your mower height to a high level and mow your turf little and often as opposed to a low cut to maintain an excellent quality lawn. In the summer period you should mow your lawn more often to keep up with the fast growth. Unlike what many people think leaving clippings on the lawn can return essential nutrients to your lawn and can act like an additional fertiliser application to improve growth. Aeration involves perforating your turf with small holes to allow for circulation. Aeration is a great way to reduce compaction and thatch build up in your turf by allowing air and water to penetrate the soil below to help the roots grow deeper and produce a stronger and more vigorous lawn. The best time to aerate is during the growing season when the grass can heal filling any open areas. During the growing season a balanced fertiliser should be applied every four to six weeks. A fertiliser mix with 20 percent Nitrogen, 5 percent Phosphate and 10 percent Potassium is a good basic mix for the Spring period. We recommend spreading fertiliser in two perpendicular directions will ensure that you get better coverage and prevents over applying. 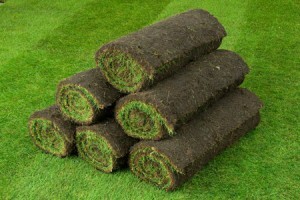 At Ivinghoe Turf we are garden turf experts. From our location in Ivinghoe, Buckinghamshire we have easy access to all areas of the UK. We have been growing and supplying our very own selection of high quality lawn turf for over three decades. Using our very own fleet of transport vehicles we are able to transport your turf nationwide straight to your location. Should you require more information on our turf or would like some assistance contact a friendly member of our team today. Keep it Clean – One way to ensure that your lawn grows strong is by removing any dead leaves or debris that has fell on it throughout the winter. As well as helping to keep your lawn turf dry, it also allows for some sunlight to reach the grass which is then used in photosynthesis. Moreover the likelihood of disease is also considerably reduced through preventing your lawn from becoming overly wet. Aerate Your Lawn – Aeration can help to make your garden turf healthier by improving air exchange and water intake. One way to aerate your lawn is by using a solid tine spiking machine, this process enables the roots to grow much deeper and helps to reduce the level of soil compaction. 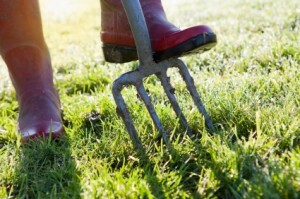 If you do not have a spiking machine you can always use a garden fork to aerate your lawn. 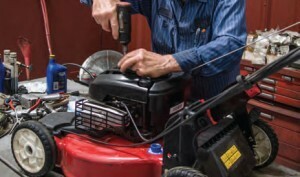 Get to Mowing – Now that the coldest period has passed by the mowing can begin once again. Give your grass a mow every couple of weeks to help and regulate the height of your turf. At Ivinghoe Turf we have been growing and supplying high quality lawn turf to our customers across Hertfordshire, Bedfordshire and Buckinghamshire for over 30 years. 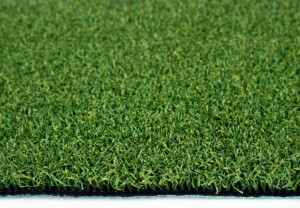 Our hard wearing garden turf is used by gardeners, builders and landscapers to create beautiful lawns. We are able to deliver your garden turf to the majority of destinations across the UK using our very own fleet of trucks. 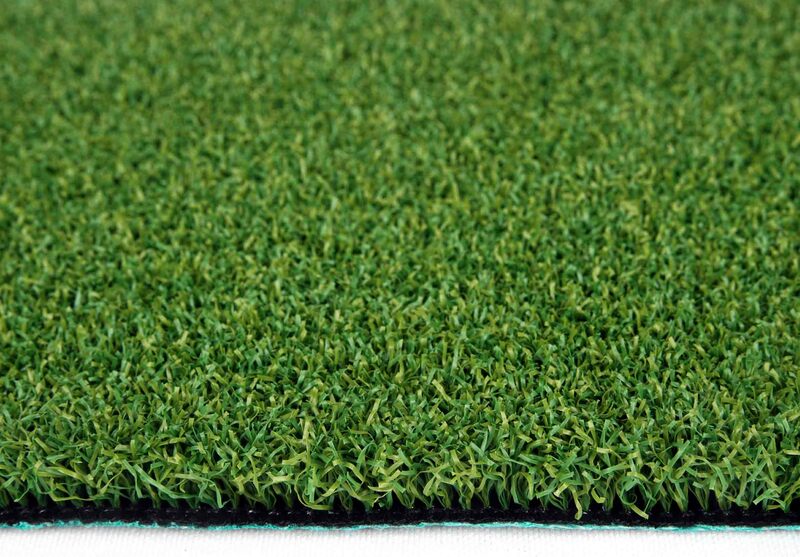 Since their invention in the 1960s, artificial lawn turf has come a long way. Artificial lawns now have a realistic looking feel and supposedly low maintenance make them an attractive alternative to the real thing, but are they? Many people assume that a synthetic lawn will require less attention and maintenance work, however this isn’t the case. Artificial turf requires continuous monthly maintenance: they must be brushed to stop them lying flat, leaves need to be removed to stop the growth of moss and they also endure weed problems. Moreover an artificial lawn will require servicing once or twice per year using specialist equipment to preserve it’s quality thus adding to the cost. Whilst artificial lawns can withstand very heavy usage better than natural garden turf, it doesn’t have the ability to repair itself. If natural lawn turf is worn, it can recover on its own or with some seeding. Damage to astroturf however isn’t as straightforward to fix, if it is worn or torn the only solution is to replace it entirely. Synthetic turf is still a poor substitute to natural rolls of turf. Above all else it can never match the quality and environmental benefits of garden turf. 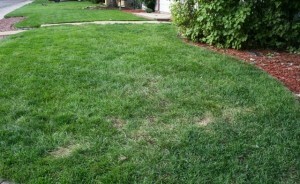 The maintenance costs are also lower for a natural lawn and the quality is much higher. Here at Ivinghoe Turf, we have been growing high quality turf for over 30 years in our fields in Buckinghamshire. Our hard wearing garden turf is utilised by gardeners, house builders and landscapers to create beautiful lawns. We deliver turf to locations in Hertfordshire, Buckinghamshire and Bedfordshire using our own transport vehicles and also offer further afield deliver using established courier companies. Generally speaking turf is best laid in mid-autumn, but can be laid any time between mid-autumn and late winter – whenever the soil is not frosty or too wet. Usually only a little mowing is needed in spring and autumn so newly-laid turf can be left mostly undisturbed during these months. The most optimum time to lay turf is early autumn when the soil is moist and the predictable rainfall helps it establish. However, laying turf in winter gives your turf plenty of time to settle and root before spring arrives. You also save time and money with less watering and fertilising required. Turf is naturally unaffected by frost and even if your turf rolls freeze it will keep and can be laid as normal once the ground has thawed. At Ivinghoe Turf we harvest all year round as required. Harvesting is only impossible on frozen ground which is uncommon in our location. Order your turf online now and plan ahead to have your lawn ready for next summer. Aeration (also called Scarifying) is the process of poking holes into the soil to improve the filtration of rainfall and irrigation in your lawn turf. A fork, specialised boots, or specialist machinery can be used to loosen compacted soil to enable air and water to penetrate the root zone. This process also reduces runoff and minimises water waste. Several factors have an effect on the recommended time between each aeration process including soil conditions, foot traffic and others. Generally aerating annually in the spring or autumn is good practice for maintaining your turf. What Should I Do After Aeration? Once you have aerated your lawn it is recommended that you feed your lawn using a fertiliser to enhance it’s water holding capacity. This process will ensure that your garden turf remains in excellent condition all year. Here at Ivinghoe Turf we have been supplying lawn turf to customers across Bedfordshire, Hertfordshire and Buckinghamshire as well as further afield for over 30 years. Unlike many of our competitors, who only supply turf, we grow it ourselves in our fields and you can also order your turf online. We are also able to deliver your garden turf to the majority of UK destinations using our very own transport trucks. For more information contact us today and one of our team will be more than happy to assist you. Necrotic ring spot is caused by the fungus Leptosphaeria Korrae. 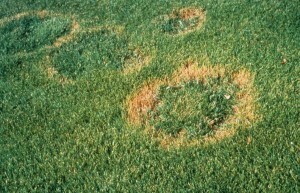 Necrotic ring spot frequently occurs on 2-5 year old sodden lawns and is especially prevalent in vigorously growing lawns. These lawns will often develop a thick thatch layer, thus stimulating fungal growth. Necrotic ring spot is also common with unmixed layers of soil, for example 1-2 inches of topsoil laid down over hard compacted native soil. This produces turf with shallow roots and poor drainage. 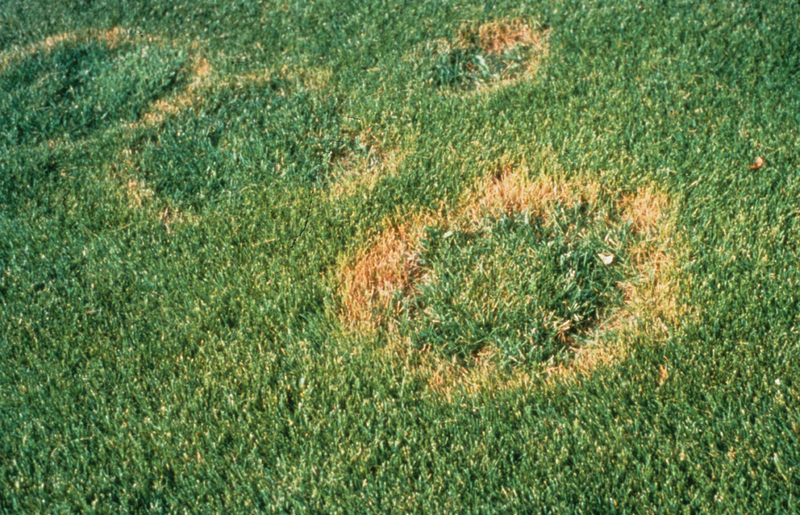 The disease is spread from plant-to-plant contact or mechanically with lawn equipment and the fungus survives winter in infected plant material. The fungus then becomes active during cool and wet periods in the Spring and Autumn where grass sheaths and roots are infected and eventually killed. The first symptoms, rarely observed, are reddish brown or straw-coloured grass blades. Usually, the disease is not detected until the many plants have been killed which form small patches of dead, straw-coloured grass. Multiple rings then often combine, forming irregular patterns in the lawn. Damage is most evident in the summer, as damaged root systems can no longer support the plant during hot, dry weather, and the plant dies. Necrotic Ring Spot can be problematic, however some practices can help to manage the disease. Dethatching – Dethatch preferably in the autumn season if the thatch layer is over 1/2 an inch thick. This may need to be repeated for several years to reduce the thatch layer. Aerating – Aeration will reduce compaction, increase nutrient and water penetration, and increase microbial activity, helping decompose the thatch layer. Watering – Water frequently and lightly during the summer due to shallow root systems. Water the lawn 3 to 4 times per week for a total of 1 inch including rainfall. 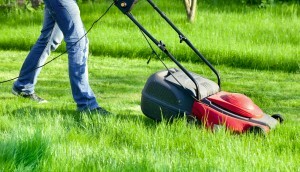 Mowing – Mow the grass to a height of 2-3 inches in the summer. Mow frequently and never remove more than 1 inch of growth at a time. Reseeding – Reseeding dead areas with resistant varieties of bluegrass may speed up the recovery process. Here at Ivinghoe Turf we have been growing, harvesting and delivering high quality garden turf for more than 30 years. Through our extended experience in producing turf we have developed the knowledge to allow us to grow and maintain healthy garden turf. For an enquiry please contact our customer advisory team who will be more than happy to assist you. Laying lawn turf is an excellent way to create picturesque garden. The following guidelines will help to make it a straightforward process. For many people the lawn is the foundation of the garden, defining shape and providing a sense of space in the garden. It is also often used as an outdoor space for relaxation and activities. Seed is the cheapest option, however the grass takes a long time to settle. Garden turf on the other hand produces instant results, reducing problems of weeds or moss. Turf is usually laid in either Spring or Autumn. Prior to laying, remove any existing grass, stones and weeds. 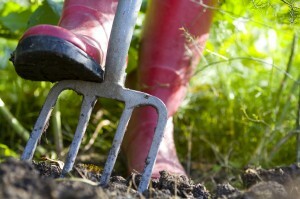 Rake the soil flat and firm down with a roller or your feet. Lay sharp sand across the soil to improve drainage. On top of your sharp sand lay approximately 150mm of topsoil. Topsoil is reasonably porous and is therefore able to provide essential nutrients to encourage establishment for turf to grow. It’s a good idea to mark out the area of the new lawn with wire or string before you begin. Starting with the longest edge, unroll each strip, working your way across the area and make sure each strip joins up neatly to the previous one whilst staggering the joints. As you move forward, stand on a board to avoid direct contact with the turf. If you encounter any bumps or hollows just peel back the turf and add or remove soil where necessary. When you’re satisfied with the laying, tidy the edges up with an edging iron or knife and firm the lawn with a light roller or flat piece of wood. Finally, water the lawn once or twice a day if the weather is warm or windy until the grass is established. Avoid walking on the area until it has rooted which could take weeks. Once established, you can mow the space using the highest blade setting for the first few cuts. And that’s it, a simple and effective guide to creating your perfect lawn. Here at Ivinghoe Turf we have a selection of high quality garden turf available. We grow our turf in our very own fields in Ivinghoe, Buckinghamshire and deliver across Hertfordshire, Bedfordshire and Buckinghamshire. Our turf is available to buy online or contact our customer advisory team who will be more than happy to assist with your enquiry. Although selective, the name ‘weed’ is usually given to invasive plants in lawns that compete with grass for space to grow, e.g. clover and dandelions, coarse-leaved grasses, daisies and buttercups. Patchy grass. An uneven growth rate or areas of different colours or textures from the rest of the lawn. Flowers. 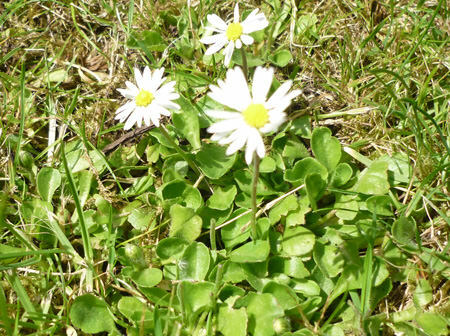 Even in a closely mown lawn flowers may appear, however is more prevalent in lawns where the grass is allowed to grow longer. Green or brown patches during dry spells. Lawn weeds can perform better or worse than the lawn grass during periods of low rainfall or scant watering. Lawn weeds survive regular, close mowing and spread by seed or creeping stems. They can be more problematic where the grass is thin. Finding weeds early and dealing with them quickly can avoid a larger problem later. 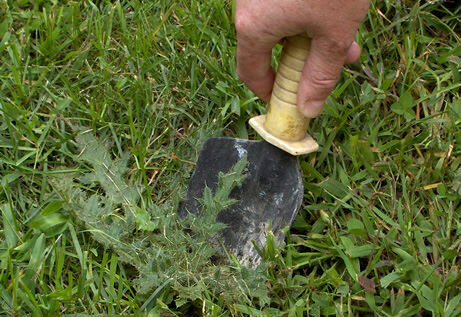 Consider controlling the weeds without using chemicals, such as digging them out of the turf grass. Other chemical-free options to try include the following. Feeding, aerating and scarifying will help the grass to grow more vigorously and crowd out the weeds more effectively. Remove rosette-type weeds, such as dandelions and daisies with a handfork. Dig out weeds and re-turf or re-seed. Rake over and then mow to discourage creeping weeds. Avoid close mowing, as this can weaken the grass and allow the weeds in. If digging out the weeds is not feasible, selective lawn weed killers will usually control weeds while not harming the turf grass itself. Read the label carefully to choose an appropriate weed killer. Ready-to-use sprays are useful for spot-treatments. Some lawn weeds are controlled by a single treatment, but others may need further treatment at four to six week intervals. New lawn turf can often be badly damaged by chemical weed killers if used on the turf within six months of laying. Look for products containing fluroxypyr, which may be safe to use after two months. Here at Ivinghoe Turf, we grow our turf in our own weed-free fields in Ivinghoe, Buckinghamshire and deliver across Hertfordshire, Bedfordshire and Buckinghamshire. Our turf is available to buy online or contact our customer advisory team who will be more than happy to assist with your turf enquiry.